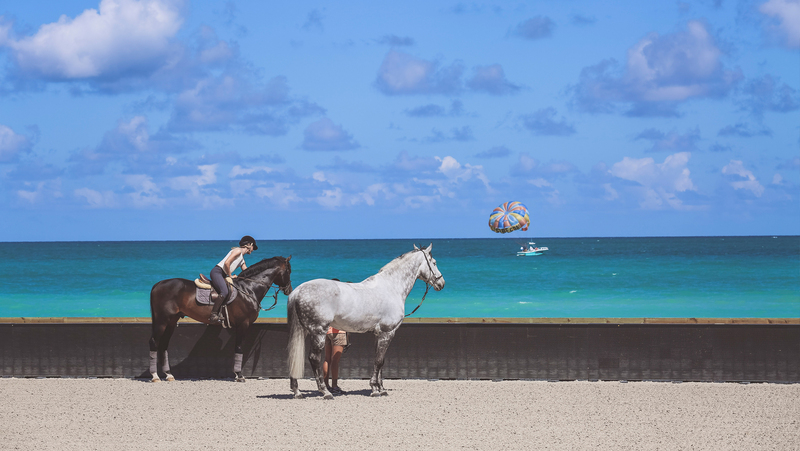 If you’re not able to make it down to the Longines Global Champions Tour Miami Beach in person, don’t worry, we’ve got you covered: watch every class in the iconic arena, with the turquoise Atlantic ocean lapping at one side. All the action is being live-streamed free via GCT TV (and selected classes via Facebook Live), with expert commentary from our on-site team and the chance to pose your burning questions to the tour's celebrity riders on social media. Get a taste of the Florida’s iconic South Beach vibe on the live stream, which also features exclusive interviews, rider reactions and behind-the-scenes access to show you what it’s really like for the teams on the ground — riders, grooms, trainers, vets and support crew — at one of the world’s most glamorous yet compact jumping shows.